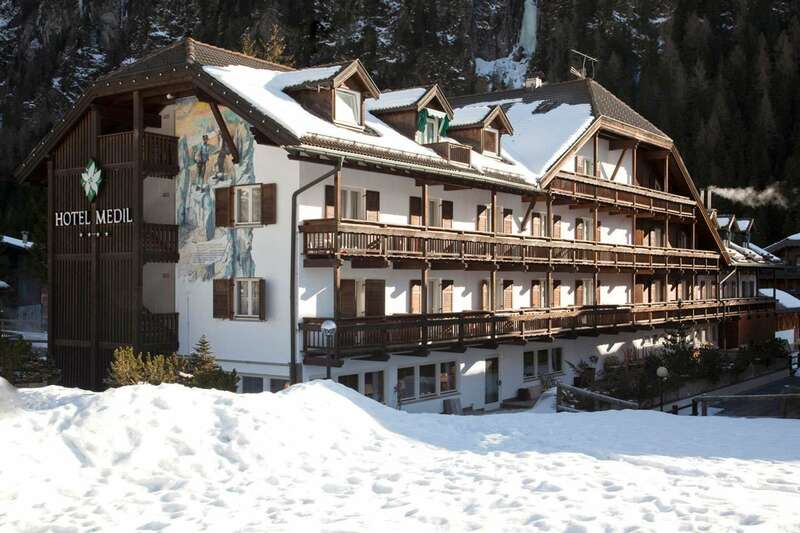 With a spa holding an indoor pool, stunning views, and ski lessons, Hotel Medil has quickly become a favourite in the area and is less than 200 metres away from the cable car on Col Rodella. With all rooms, there will be a satellite TV, balcony, minibar, free parking, and even free WiFi. As well as an a la carte dinner service, guests can also make the most of a large buffet of starters. For guests that are attacking the slopes for the very first time, ski lessons can be booked for individuals as well as groups. Additionally, guests can enjoy a wellness centre with top-of-the-range facilities such as a hot tub and Turkish bath. To finish a trip perfectly, various beauty treatments and massages will also be available.